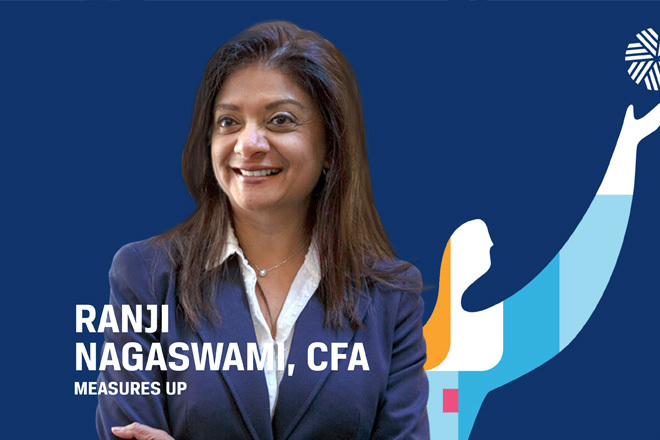 CFA Institute, a global association of investment professionals, promoting the highest standards of ethics, education, and professional excellence in the investment management industry, has chosen to feature Hirtle Callaghan’s Chief Executive Officer, Ranji Nagaswami, as an industry leader in its Let’s Measure Up campaign, which emphasizes the values of putting clients’ interests before our own, building trust in our industry and striving to build a better world. That is something we can get behind! Learn more about how Ranji’s mission to harness the transformative power of finance is inspiring others.